Matt joins Redfern Jarjum College as the new Principal in 2018, having previously been the Head of the Regis Campus at Saint Ignatius’ College, Riverview. 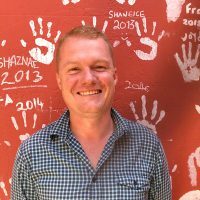 Matt has also worked as a teacher and school leader on the NSW Mid North Coast and in the Western Suburbs of Sydney where he grew up. His vision for Jarjum is to create an engaging learning environment built on partnerships with families and the communities. Matt is committed to helping each individual student and looks forward to seeing them gain the confidence to achieve success in their educational journey. He believes in the importance of spiritual, emotional and academic development. Matt holds a Masters Degree in Educational Leadership and brings experience working with students from all over Australia. 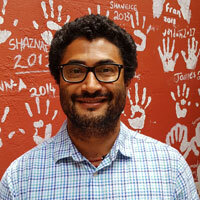 Matt has also worked extensively in the areas of curriculum design and teacher development. 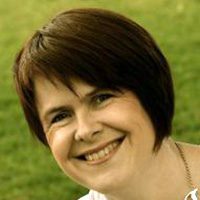 Anne has a background in adult education and education administration and a strong commitment to service and the support for health and well being for all children. Hi there, my name is Tom and I’ve been teaching for the past 16 years. I have worked at a number of schools here in Australia and in the UK. My earlier work was with middle school students where I was able to guide students through their informative transition into high school. I am an advocate of first nation’s cultures and am passionate about the role of education in young student’s lives. My hobbies include most sports and anything outdoors, particularly hiking and camping. I am very honoured and proud to be working at Jarjum. 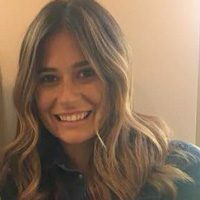 Natasha joined us as the Senior teacher at Jarjum College in October, 2018. Natasha was born in Perth, Western Australia and moved to Sydney in January 2018. She has been in education for eight years and was previously teaching at St Ignatius’ College, Riverview. Prior to that she taught in London, Perth and Melbourne. In 2016 Natasha managed DT38 Foundation, a charity which worked to educate students and adults about testicular cancer and general health and wellbeing. She published her first children’s picture book and teaching program linked to Literacy and Health outcomes. The focus of the program was to teach students about resilience and to provide them with strategies to get through life’s challenges. Natasha is thrilled to be part of the team at Jarjum. Sharon joined Jarjum as the Junior Class teacher in August 2018. Growing up in Woodberry, New South Wales, she enjoyed a fairly carefree childhood where she developed a strong connection to her community and to the land around her. Sharon has always had a love for learning and understands the importance of fostering that love for learning in children. She was inspired by her own Year 4 teacher to become a teacher herself. 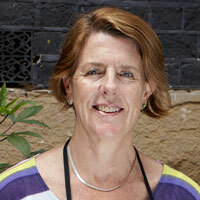 Sharon has two adult children and has lived in Sydney since 1990. Graduating from university as a mature age student, she has been teaching in primary schools for the past 8 years. Just prior to joining Jarjum, Sharon worked at Stewart House School where the main focus of the program was on student wellbeing, emotional regulation and managing their behavior. In this role she taught over 280 different students over a 12 month period. Sharon feels privileged to be part of the Jarjum family. 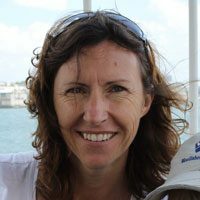 Tina joined Jarjum as the Middle Years teacher in January 2019. 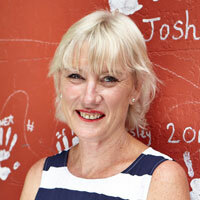 She has extensive experience as a teacher and has worked for many years in boys’ education. She is committed to helping students achieve their best in all things and hopes to inspire the students of Jarjum to reach their full potential. She has a love of reading and looks forward to sharing this love with the students and reading many wonderful books together. 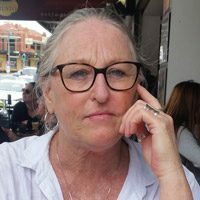 Tina worked for many years at Saint Ignatius’ College, Riverview, where she was a Homeroom teacher and taught a variety of subjects in years 5, 6 and 7. 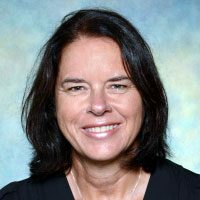 As well as being a Homeroom teacher she has coached many sport teams over the years including Rugby and Basketball. She enjoys all sports but has a particular love for netball. Tina is looking forward to teaching at Jarjum and getting to know the students and their families. Michelle McGrath joined Jarjum in 2018. She has been working as a Teacher’s Assistant since 2012. She has spent 6 years in the Public System, supporting students with varying special needs ranging from Autism Spectrum Disorders and Down Syndrome to learning and behavioural difficulties. 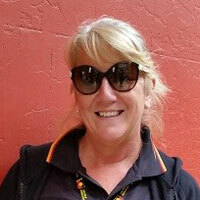 Michelle has a special interest in the education of Indigenous children and believes that all Australian children should be immersed in Indigenous culture so that they can grow up with an awareness of, and respect for, these ancient cultures. Hopefully, we can then begin to right the wrongs of the early settlers. Michelle is married with 3 children. I first found out about Jarjums when we invited the students to a magic show at Tranby college. I enjoy working at Jarjums as a Teachers Aid, working closely with Indigenous kids to be a positive role model & support to them. This also gives me the opportunity to stay connected to my culture & community as I’m a proud Wirajuri woman from Redfern. 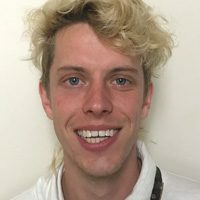 Seán is a performer, writer, driver, and teacher based in Sydney. He drives a truck in the summer, writes poetry, essays, plays, and reviews (all to varying degrees of success). Seán tutors HSC English, and has worked as a performance artist and actor in theatre, on screen, and at music festivals. He adores nonsense, absurdity, and keeping a diverse portfolio of being rad. 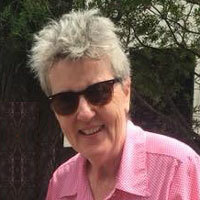 Sister Mary is a long-time educator who has taught in schools in Sydney, South Australia and the Kimberley. 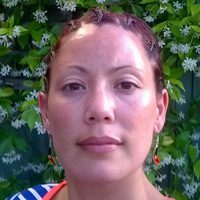 She has recently returned to Sydney after eight years in education and pastoral care in the remote Aboriginal community of Warmun, Western Australia. Sister Mary assists with teaching, administration and pastoral care for Jarjum, as well as driving the school bus.